The Save Hanes Park website is dedicated to presenting factual information about a proposed stadium to serve RJ Reynolds High School on the campus of Wiley Middle School. The website’s focus is building consensus around the historic Hanes Park property currently deeded to the WS/FC School system. This includes nurturing a viable feeder pattern of neighborhood schools to serve students from kindergarten through 12th grade in the Downtown neighborhoods around the park — one of the most diverse residential school zones in Forsyth County. Leadership for the stadium project has been deferred to a private booster club associated with Reynolds athletics. That group has benefitted from cooperation with the school system but is shielded from public process. 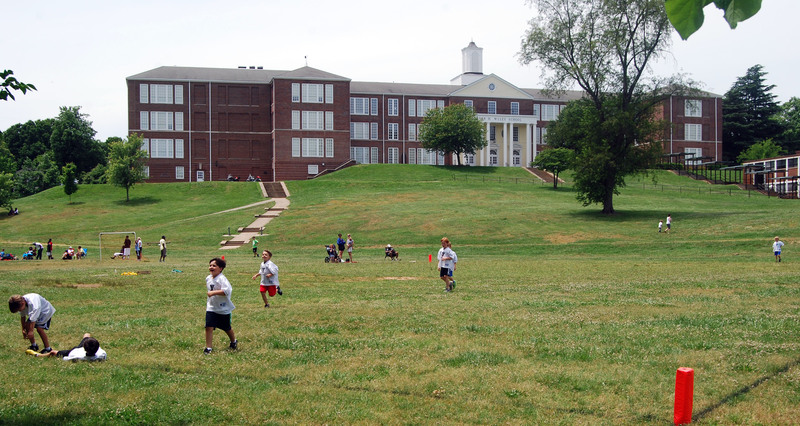 Our primary concern is the impact a stadium would have on the campus of Wiley Middle; how it might influence the site choice for a new Brunson Elementary; and how it would affect public use of our century-old historic downtown green space, Hanes Park. Improvements are underway for Hanes Park that include fields and courts shared with R.J. Reynolds athletics. Developed through an open and transparent process involving our school board, small business owners, neighborhood representatives and the public, these upgrades represent a notable success for WS/FCS planning in our downtown area.